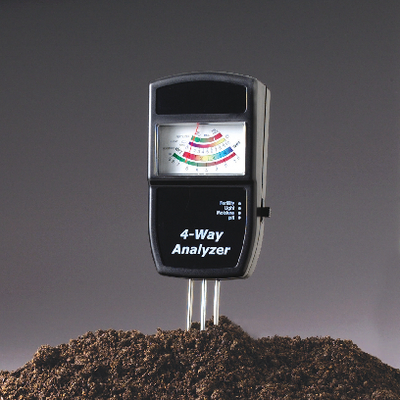 With this analyzer, you can measure the most important plant-growing conditions. To take measurements with this analog meter, insert it in the soil and move the switch to the factor you want to test. It will measure the amount of fertilizer (too little, ideal, too much), light (0–10), moisture (1–4), and pH (0–9.0). This meter does not require batteries.